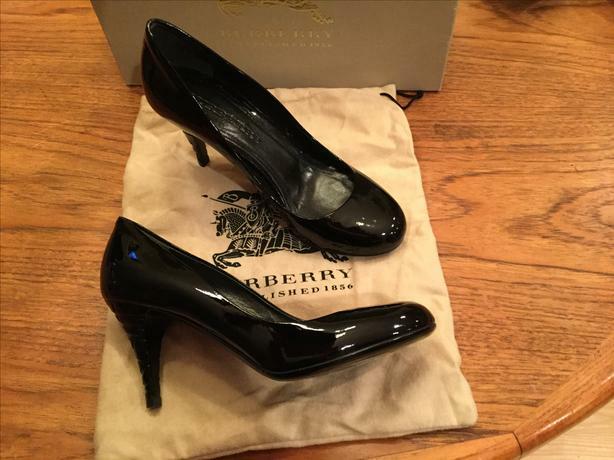 Burberry Black patent leather pumps with etched pattern on heel. size 6. Worn once. Box and protectors incl. A new pair, same shoe on another site $450.